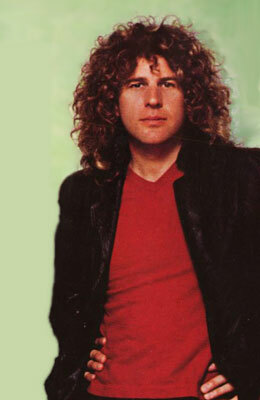 Sammy Hagar Biography, Discography, Music News on 100 XR - The Net's #1 Rock Station!!! Samuel Roy Hagar was born on October 13, 1947, in Monterey, California USA; after a brief career as a boxer in the footsteps of his father, he began singing in the late '60s, performing with various local outfits; it was in the mid-'70s that he first gained popularity as lead singer and rhythm guitarist for the band Montrose. After two albums with this Bay Area Hard-Rock group, Hagar struck out on his own and in 1976 released "Nine On A Ten Scale". The following year saw the release of two full-length discs: his eponymous album, known as the red-album, which broke the U.S. Pop chart with a peak of #167 and "Musical Chairs"; the third album hit #100 in U.S. and "You Make Me Crazy" became his first American Pop Singles chart entry at #62. The live set, "All Night Long", released in 1978, peaked at #89 on the Pop Albums chart and was followed, a year later, by his fourth studio-LP: "Street Machine", the record peaked at #71 in U.S. and spawned the hit single "Plain Jane". The red rocker's next album, "Danger Zone", enjoyed about the same chart success as its predecessor. Hagar's breakthrough album arrived in 1981, "Standing Hampton" climbed the U.S. Pop chart reaching the #28 position and went platinum; it generated a string of hits including "I'll Fall In Love Again" which peaked at #2 on The Mainstream Rock chart and nearly broke the top 40 on The Billboard Hot 100, "There's Only One Way To Rock" reached #31 on The Mainstream Rock Tracks, "Baby's On Fire" made it to the #35 spot on the same chart and "Piece Of My Heart" reached #73 on the Billboard's Hot 100 Pop Singles chart. During the next year, he contributed the title-song to the soundtrack of the film "Fast Times At Ridgemont High", the track rose to #21 on The Mainstream Rock chart. "Three Lock Box" was issued in 1983, its lead single, "Your Love Is Driving Me Crazy", peaked at #13 on the U.S. Pop Sales chart, soared to the #3 spot on The Mainstream Rock list and helped propel the album to #17 on the U.S. Top 200 LPs & Tapes chart, his best chart-placing to date; the LP contained two more Mainstream Rock hit singles: the #6 "Remember The Heroes" and the top 30 "I Don't Need Love" as well as "Never Give Up" which entered the top 50 of the Official Pop Singles chart. The artist's eighth studio album, "VOA", arrived a year later and peaked at #32 on The Billboard 200 chart spawning the hit single "I Can't Drive 55" which climbed into the top 30 of The Billboard Hot 100 and peaked at #9 on The Mainstream Rock Tracks; the second single cut, "Two Sides Of Love", also entered the top 40 on the same charts and "VOA" became his second platinum record. In 1985, Hagar assumed the role of lead singer in Van Halen, from whom David Lee Roth had recently departed; his first album with the band was 1986's "5150". The following year he released another solo effort, "I Never Said Goodbye"; the disc peaked at #14 on The Billboard Top 200 Albums chart spawning the Active Rock #1 single "Give To Live", which also peaked at #23 on The Billboard Hot 100; the album produced three further Billboard's Rock top 30 hits: "Boys' Night Out", "Eagles Fly" and "Returning Home". That same year he scored another Mainstream Rock top 3 hit with "Winner Takes It All", used for the soundtrack to the Sylvester Stallone movie "Over The Top". The collection "Unboxed", which was issued in March of 1994 contained two previously unreleased songs including the Mainstream Rock top 5 hit single "High Hopes". Amid growing tensions, Hagar left Van Halen in early 1996 claiming that he was fired by his bandmates. He released "Marching To Mars" in May of 1997, his first solo effort in ten years; the 11-song set peaked at #18 on The Billboard 200 Albums chart, it yielded the Active Rock chart-topping "Little White Lie", plus the title-track, which rose to #3 and "Both Sides Now" peaked at #11 on The Mainstream Rock list. Two years later, he followed up with another Billboard 200 Albums' top 30 hit, "Red Voodoo" and the smash single "Mas Tequila", which peaked at #2 on The Mainstream Rock chart; the second single, "Shag", reached #22 on the same chart. The next album, "Ten 13", was issued in late 2000 but did not rise higher than the #52 position on The Billboard 200 spawning the Active Rock top 10 hit "Serious Ju Ju" and "Let Sally Drive" which reached #16 on The Mainstream Rock chart. Two years later was released an album credited to Sammy Hagar & The Waboritas entitled "Not 4 Sale" but its sales were noticeably weaker than its predecessor. 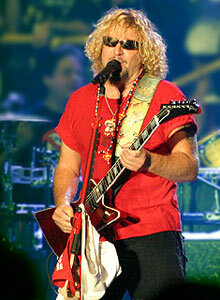 In March 2004 Van Halen confirmed that Sammy Hagar had rejoined the veteran Hard-Rock band. A year later, in June 2005, Sanctuary Records digitally released a new Sammy Hagar And The Wabos' single, "Let Me Take You There"; track was even featured on "Livin' It Up" an album which restored Hagar to the U.S. Billboard top 50; the disc released in July 2006, included the single "Sam I Am" which received heavy airplay on album-Rock radio across the States. In mid-2007 Sammy Hagar with The Wabos released another digital single, "Open". In November 2008 the red rocker put out "Cosmic Universal Fashion" which debuted at #95 on The Billboard 200, the disc included the single "I'm On A Roll" and was the last solo album released by Sammy Hagar before he launched Chickenfoot, a Rock supergroup featuring Joe Satriani, Michael Anthony and Chad Smith. 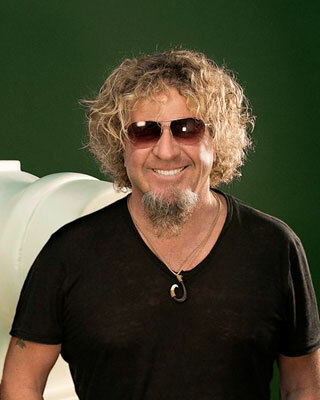 Sammy Hagar's upcoming collaborative album, "Sammy Hagar & Friends" will be released on September 24, 2013 and will find the singer working alongside artists such as Kid Rock, Joe Satriani, Chad Smith and others. The set includes the Heritage Rock radio top 40 hit "Knockdown Dragout".